Almost every road building company has its own train of machines that is called “road construction machinery.” It consists of rather complicated industrial units that are characterized by dynamic manufacturing processes and involve complex mathematical equations. The following is a non-exclusive list and description of modern road construction equipment: An excavator is used for digging and rapid removal of large amounts of dirt and soil. The shovel is considered to be the main part of this machine. There are excavators with front and back shovels also known as “Backhoes.” The first kind of excavators were designed to break hard rocky grounds. The excavators with backhoes are applied to excavate a narrow trench used by sewer systems and underground pipelines. A grab bucket is meant for picking, loading and transporting road construction materials. It may be included as a part of excavators, loading machines, lift cranes, and single rails. A bulldozer refers to the heavy equipment that performs the following functions: (1) layer by layer excavating; (2) ground surface leveling; and (3) earth moving. In terms of design, this machine features a wheel-type or track-type tractor equipped with a moldboard. The road builders cannot do without such a unit as Dumper or Dump Truck when paving roads. It is considered to be an all-purpose unit since it is able to transport any cargo. Being mobile, the dump truck provides for the reduction of production time at the building sites. A paving machine is the basic unit meant for compacting the bulk material mixtures. A motor grader is necessary for removing and leveling soil and other materials. The design peculiarities of this equipment make it possible to level the surface properly in several trips. The motor graders are classified according to the amount of the construction work they can perform: (1) light; (2) average; and (3) heavy. There is no doubt that each road building company has binder distributors in its fleet of construction machinery. It is used for regular spreading of binding materials (bitumen, tar, bitumen emulsion) under presssure. 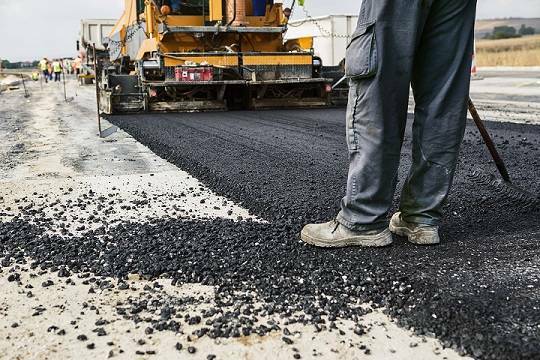 The GlobeCore UVB-1 units have been designed to produce cationic as well as anionic bitumen emulsions that are widely applied in the road construction industry.